This week marks the beginning of our summer, and boy, were we ready! Around here we love summer, and not just for the swimming pools and relaxing days. We love summer because it’s a time when we can learn more about things WE want to know about in a fun and relaxing environment. We also know that if we don’t do something academic during the summer months, we could easily become another statistic of the summer brain drain in which students typically lose between 1 and 3 months of school year learning. After all our hard work this school year, this momma doesn’t want to go back and have to teach all of that stuff again! If you’re a homeschooling mother, I’m sure you don’t either. So let’s make summer learning fun! Summer is the perfect time for us to explore new techniques and tools with our students. Don’t stress about needing textbooks or worksheets. 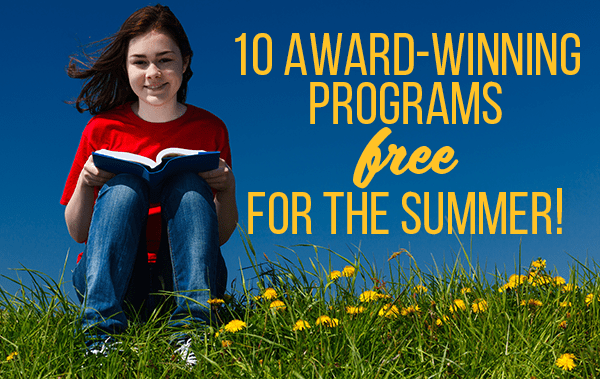 Use this summer to explore exciting homeschool curriculum that stimulates and engages kids like these fantastic tools that are 100% free for summer thanks to our friends at the Homeschool Buyers Co-op. What better time of year to empower your child to take ownership of their education than the summer. There are loads of resources that offer videos in which students can interact at their own pace. The Co-op has included Visual Latin as well as CCC! Streaming Media (you can select one CCC! program) in their Free for the Summer deal! Kicking off a new school year with weeks of review can be frustrating for parents and students alike. We can keep our youngsters’ math skills fresh with apps like DoodleMaths. If one of your older students is preparing for the SAT or ACT, MathHelp.com is a wonderful tool to help ensure they continue to build mastery over the summer. If your kids have a tendency to forget everything you taught them about grammar, then Fix-It Grammar from IEW is a quick and easy way to ensure their writing skills don’t suffer during the summer months! Who wants to turn on the oven when it’s 100° degrees outside? It might sound counter intuitive to suggest cooking lessons over the summer, but Kids Cook Real Food has found the ticket–InstantPot and slow cooker recipes. You can teach your kids how to cook an entire dinner for the whole family. What could be better than that? 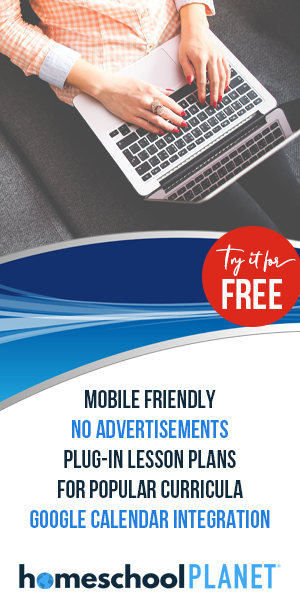 How about getting it for free? Done! Kids Cook Real Food is part of The Homeschool Buyers Co-op Free for the Summer program! Summertime also provides a wonderful time to explore new and fun projects we may be too busy to pursue the rest of the year. Make the most of this time by focusing on the arts! Help your children get acquainted with fine arts as they explore the lives and works of Master Artists with Meet the Masters. If the thought of summer brain-drain has you wondering what you will do to prevent it, then be sure to check out these free opportunities at the Homeschool Buyers Co-op! Membership is always free and comes with exclusive member benefits year-round. Have fun learning this summer!